SMSgt. Ret. 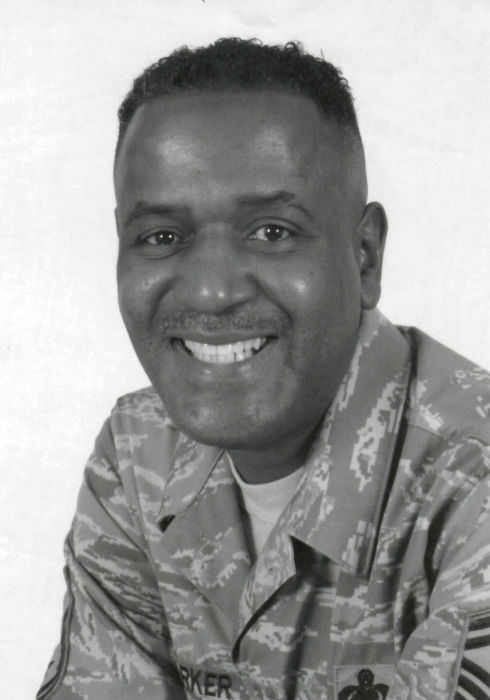 USAF Deacon Gregory “Greg” Parker, age 56, of Belleville, IL, born on September 15, 1961 in Memphis, TN, passed away unexpectedly on Thursday, August 30, 2018 at St. Elizabeth’s Hospital, O’Fallon, IL. Greg joined the U.S. Air Force in May 1986, where he served until retirement in 2010. After a brief retirement, he returned to his former job with the Air Force as a Civil Government Logistic Officer. He was a Rotary Flight Chief for Squadron 436 for 8 years. He received numerous degrees and honors, including an Associate’s degree in Applied Science Logistics from the Community College of the Air Force, a Bachelor’s degree of General Studies from William Carey College, and a Master’s degree in Business Administration from Lindenwood University. He was preceded in death by his father, Nathaniel Parker, Sr.; his mother, Mattie Parker; and his five brothers, Robert Earl, Nathaniel Jr., Arthur, James, and William Parker; and a sister Lucille Edwards. Gregory is survived by his three children, Germaine Parker of Shiloh, IL, Monica Parker of Cahokia, IL, and Briana Parker of Memphis, TN; his two grandchildren, Sharveya Smith and Hayden Key; his four sisters, Norma Taper, Birdie Wright, Natalie Golden, and Pamela Hayes, all of Memphis, TN; and many other relatives and friends. Visitation will be held from 12:00 P.M. to 7:00 P.M. on Wednesday, September 5, 2018 at The Faith House, 112 W. Washington, O’Fallon, IL. The Home-going Celebration will be held on Friday, September 7, 2018 at Berean Baptist Church in Memphis, TN. Burial will follow.